Here’s the second part of the preview Disney put out thanks to it’s 8,900+ followers on Facebook. The Hollywood Studios Earful Tower. The tower was built in 1988 and was the symbol of the of the park until 2001 when the giant Sorcerer’s hat took over that role. 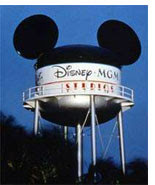 The tower originally read “MGM Studios” but was painted over during the transition to the new name in early 2008. 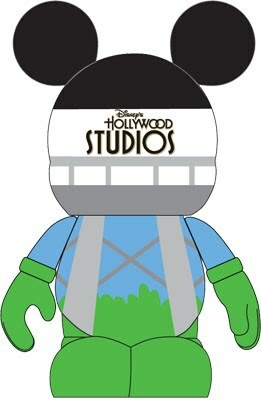 It’s a shame that Disney wouldn’t be putting the old logo on this vinylmation. Nick LoCicero has almost 20 years experience in the media industry. He has worked on numerous Disney related media projects, most know at WDWNT for WDW News Tonight. He has been visiting Walt Disney World since 1982. 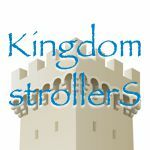 After moving to Orlando in the late 90's he became a passholder, developed a fascination with the history of the vacation kingdom and has spent way too much money on park merchandise. I think they changed the post recently- but earlier I thought the blog said the earful tower will be a 3 inch. Well they do like to change things. I can see if as a 3″, because of the lack of detail would look worse zoomed out to a 9″. I got really excited about this until I saw they didn’t use the old logo. I worked there when it was MGM Studios, so this would have been a must have. Yeah, we agree. They should honor the heritage.